From the roof of our hotel, Beit Sabée, we can see the wonders of the West Bank of the Nile at Luxor. We look directly on to Old Gourna, where the locals built their houses on top of the Noble tombs they had found, and the temple of Habu. Behind is the Valley of the Kings and, to the left, the Valley of the Queens. 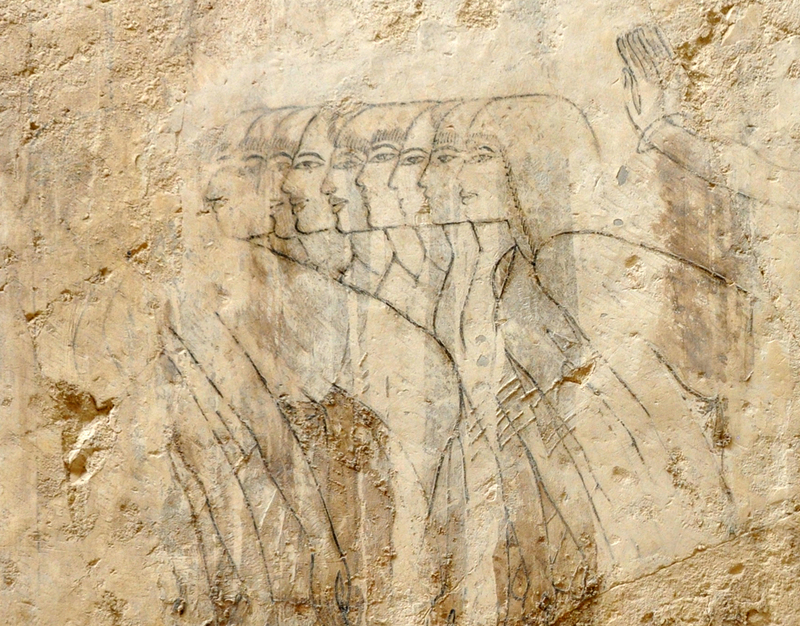 Of all of them, we opt to spend most time looking at the Tombs of the Nobles. Despite their astonishing preservation and importance, we were the only tourists. We’re starting to get used to that, but it makes the plight of Egypt’s tourist trade even more acute. We take a taxi out and, when we arrive, we’re united with someone we’ve met before (at the belly dancing if you must know) who’ll be our guide and general fixer for our visit here. We buy tickets to see five tombs but, as we are with a friend, we’re able to see eight including one just discovered and opened to tourists a few months ago. We’re quickly brought up to speed on the etiquette of baksheesh, learning how to deploy small change in various pockets so we “only” have 10 or 20 Egyptian pounds, and no more. Photographs are not supposed to be permitted but when you are inside the tomb, then “photo no problem” in exchange for a small fee. We don’t use flash, but we’re the only ones who seem to care. The tombs are breathtaking. Colours are so vivid and the carving so clear that it’s hard to believe we’re seeing something 4,000 years old. Naturally we’re the only ones here. No one else at any of the tombs. We pay about 180 Egyptian pounds for two tickets (around £16) and about the same again for the, er, help. 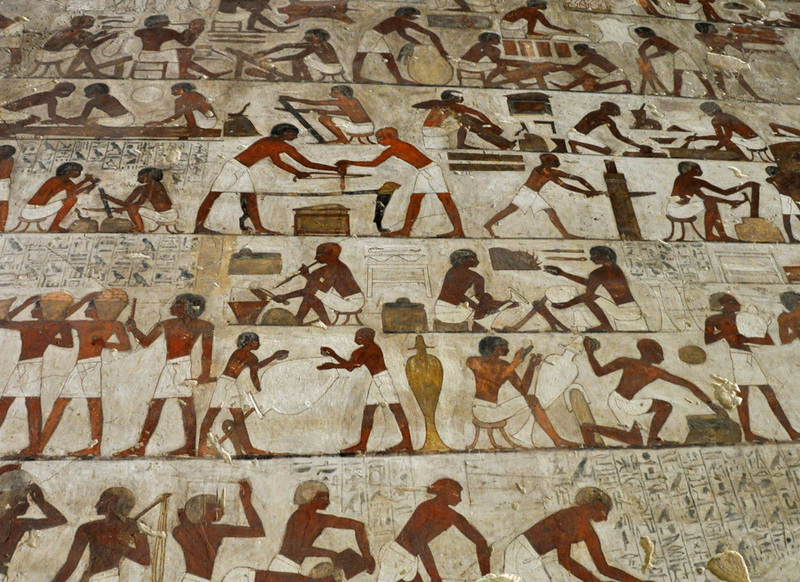 The stories on the tomb walls describe the lives of those who commission them, their achievements and their journey to the afterlife. 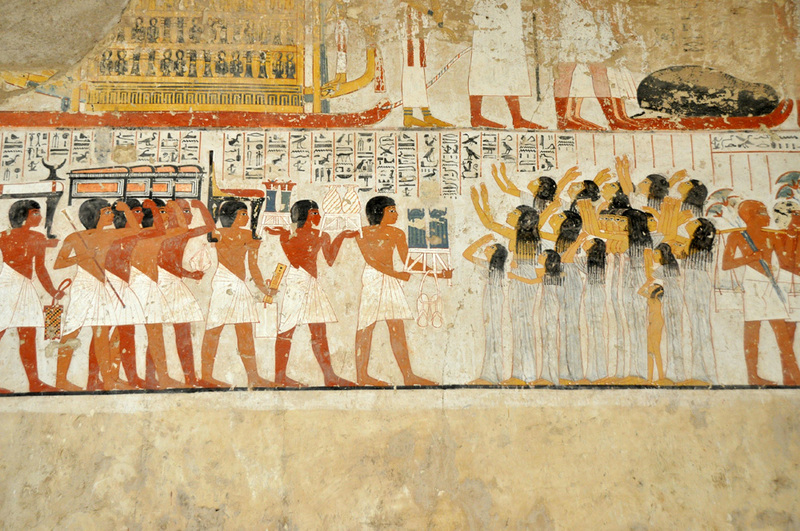 Unlike Pharaohs, whose tombs were begun when they started their reign, some of the Noble tombs are unfinished. Perhaps they ran out money (some stopped and started as funds allowed) or they died before the work was complete. 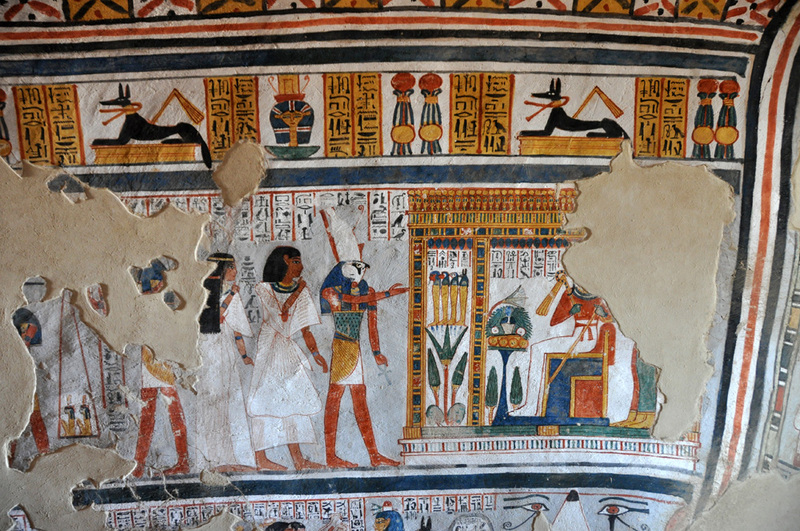 The colours in the tomb of Sennefer are vivid and fresh and we take some pictures. 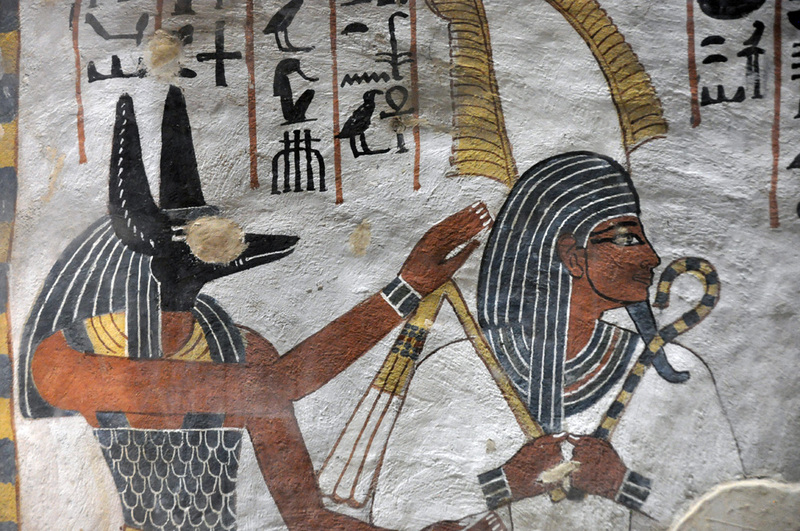 Sennefer was mayor of Thebes and overseer of the gardens of Amun during the reign of Amenhotep II. The antechamber of his tomb is decorated with reliefs of grape arbors. The ceiling is painted like a carpet and you believe it’s woven not painted. 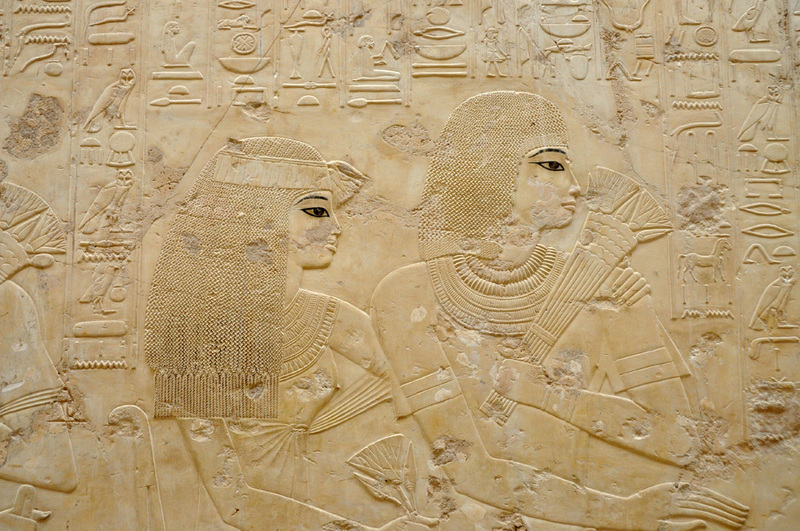 We’re told the tomb is every bit as good as that of Nefertiti in the Valley of the Queens but (1) we can take pictures and (2) Nefertiti’s tomb is only open on application and the payment of 30,000 Egyptian pounds. We visited Ramose [the image at the top showing some of the finest carvings], Userhat the royal scribe, Kha Em Hat, Rekhmire, Shuroy, Roy and Senefer.